Sanford Levinson is the W. St. John Garwood and W. St. John Garwood Jr. Centennial Chair of Law at the University of Texas Law School and Professor of Government at the University of Texas at Austin. Among his books are Our Undemocratic Constitution and, most recently, Framed: America’s 51 Constitutions and the Crisis of Governance. This is the fiftieth anniversary of the publication of Alexander Bickel’s The Least Dangerous Branch, by any measure one of the most influential books on constitutional theory published since World War II. Bickel died extremely prematurely, but his spirit certainly lives on. His portrait, for example, is a dominant presence in Yale’s largest classroom, devoted to memorializing its most important faculty members. Inevitably, though, one can wonder to what extent the central ideas associated with him continue to be truly influential or whether, on the contrary, he can be relatively safely historicized as a figure, however important, from the past whose presence is akin to any other grandfatherly (or older) figure who opines about the way things used to be as descendants increasingly forge their own paths. In an article that Jack Balkin and I wrote several years ago about scholarly citations, we emphasized the importance of inventing a good catchphrase that would itself become a standard citation. Bickel’s book contributes two: the “countermajoritarian difficulty” and the “passive virtues.” The first especially structured (all too) much of legal academic debate for decades, though, paradoxically or not, most of the scholarly literature has pointed to weaknesses in Bickel’s argument. This is certainly the theme of recent overviews of the Court written by such scholars as Barry Friedman, Michael Klarman, or Lucas Powe, not to mention Mark Graber’s classic demonstration of the way that the Court has often accepted invitations given it by ostensible majoritarian political parties to decide political hot potatoes whose legislative resolution would simply be too risky. It is not, of course, that the Court is never countermajoritarian, but one has to explain, given the way that Justices are chosen by politically aware presidents and confirmed by equally aware senators, why one would expect the Court consistently to play that role over extended periods of time. To be sure, there may be periods when there is a significant “lag” as appointees of a previous political regime hang on and thus deprive more recent presidents of the opportunity to capture the Court with appointments of Justices who share their reformist visions. Still, legal academics who obsess about the particular kinds of countermajoritarianism exhibited by the Court should also address other notably anti-majoritarian features of the American political order, beginning with the presidential veto (far more important, as an empirical matter, than judicial review with regard to national legislation) and going on to the United States Senate or the extreme difficulty of formal amendment under Article V. Bickel, like too many of his legal academic colleagues, wildly over-estimated the “democratic” nature of the American political system in general when he claimed that judicial review presented some “special” difficulty. But, as suggested, the “countermajoritarian difficulty” is only one of the two central Bickelian memes. The other is the “passive virtues.” There, I think one can say with some confidence that Bickel is truly simply a figure from an ever-receding past, offering remarkably little that is useful in understanding the contemporary Court. “The passive virtues,” of course was the title of his seminal Foreword to the Harvard Law Review, incorporated into The Least Dangerous Branch. In TLDB Bickel proved himself the faithful acolyte of Felix Frankfurter, for whom he had notably clerked, and of his Harvard Law School professors like Henry Hart and other proponents of a distinctly restrained role for the federal judiciary. And an important part of “restraint” included techniques to avoid making decisions in the first place. To be sure, Bickel was more than willing to defend Brown v. Board of Education against critics like Columbia’s Herbert Wechsler or Judge Learned Hand, but, with regard to Bickel’s overall career, that is less exemplary than his fairly consistent criticisms of the later Warren Court for being far too “aggressive” and, therefore, not properly “passive” when deciding whether or not to decide cases brought before them. As he recognized, “deciding to decide” in the first place was often as important as the substantive decision itself. As more and more of the Court’s jurisdiction became discretionary it is now almost completely so – the key question was whether (and why) they should reach out to take a case in the first place. For Bickel even the ostensibly non-discretionary jurisdiction that then existed was open to manipulation, as exemplified by the notorious case of Naim v. Naim, where the Court shamefully (and shamelessly) distorted the law in order to avoid ruling on the legal validity of anti-miscegenation statutes in the South so soon after Brown. His support for that evasion generated the gibe of Prof. Gerald Gunther that Bickel believed in “100% principle,” but only “20% of the time.” In any event, Frankfurter, Hart and Wechsler, and Bickel, taken together, assured that hours would be spent in any class on “federal courts” examining the intricacies of standing, mootness, ripeness, abstention, and justiciability, all techniques by which the Court could avoid offering its opinion on volatile issues of the day. Judicial power was a precious commodity, and it ought not be spent casually, whatever “law” or “justice” might otherwise counsel. It is that face of Bickel that has almost completely disappeared from the present dialogue. To be sure, “standing” especially has re-emerged in some recent case law, but that is almost certainly generated far more by a substantive desire on the part of the conservative majority to make certain areas of law, such as those dealing with the environment or challenges to the arguable establishment of religion, harder to enforce than by a particular notion of judicial withdrawal from “political thickets” in general. Instead, what one finds among all of the Justices, whatever may be their disagreements on the substantive issues, is a remarkable insouciance regarding the Bickelian “passive virtues.” Each and every one of them is more than happy to intervene quite extensively in the state or national political process. Consider in this context the recent decision involving the Affordable Care Act (“Obamacare” to its critics). Had Chief Justice Roberts cast his vote with his four typical compatriots, then we would have returned to the epic battles of the New Deal, in which a conservative Court, by a straight party-line vote, would have invalidated the signature political achievement of the “opposite party” president. He obviously backed off from this, but one could scarcely describe his opinion as “Bickelian” in any serious sense. After all, if one does indeed regard the Act as generating a “tax” as the principal means of enforcement of the “mandate” to purchase medical care, then it would have been possible to read the Anti-Injunction Act to forego review of the Act until 2014, the first possible time that the Act, assuming it has not been repealed by a Republican Congress in 2013 (with the strong support of President Romney), would actually have operated to generate the duty to pay the “tax.” Instead, of course, the Court, with no dissent, rejected the approach of Judge Brett Kavanaugh in the U.S. Court of Appeals for the District of Columbia Circuit when that court considered the issue. Nor, given Roberts’s decision that the Act was constitutional under the Tax Clause, is it clear that he needed as well to determine its legitimacy under the Commerce Clause. As I write these remarks (August 6, 2012), the Court has recently announced that the first argument it will hear in October will involve a challenge to the admissions policies at the University of Texas that in effect calls on the Court to overrule its opinion in Grutter v. Bollinger (2003). The procedural posture of Fisher v. University of Texas is quite extraordinary: It is not a class action, and the plaintiff has just graduated from Louisiana State University, having been frustrated in her desire to attend UT. And, for what it is worth, there is no reason at all to assume that she would actually have been admitted had the admissions process been race-blind, since she was surely not the one-and-only applicant who might have been considered for admission under a different admissions policy. It is difficult to the point of impossibility to discern what live “case or controversy” is present or what the relief would be with regard to her. For what it is worth, it is reliably reported that the University has offered to refund the application fees the plaintiff might have paid four years ago. Were this a class action, one might intone the non-passive mantra “capable of repetition but evading review,” but, to put it mildly, this is not really analogous to the position of each and every pregnant woman seeking an abortion who, by definition, might well be in a different position as her case drags out. Fisher is best described as a patent grab for power by (at least) four Justices who discern, possibly correctly, that the replacement of Justice O’Connor by Samuel Alito has provided the crucial fifth vote to overrule Grutter and thus to eliminate “affirmative action.” And, of course, if President Obama wins re-election and gets to replace the aging Justices Scalia or Kennedy, the fifth vote might disappear. It should be obvious that such an explanation (or reality) has nothing at all in common with Bickelian (or Frankfurterian) restraint and “passivity” and everything to do with the belief that, as Gibson suggests, the Court has the political wherewithal to do almost whatever it wishes with regard to one of the most divisive issues in American politics. Still, for the first time in the history of modern public opinion polling, the Supreme Court now garners the “approval” of less than a majority of the respondents, and perhaps there will ultimately be less “diffuse support” for judicial interventionism (what modern conservatives are labeling “judicial engagement”) than might be expected. Both Bickel and Frankfurter wrote in the aftermath of American Legal Realism and fully recognized the extent to which the judiciary – especially its most visible manifestation, the Supreme Court – inevitably joined “law and politics.” “Restraint” and “passivity” were techniques designed to preserve the Court’s power to act when it deemed necessary, but otherwise to pull back and thus preserve its scarce political resources for another day and other battles. Should the Court overreach in a way that elicits widespread public condemnation – and not only the basically irrelevant criticism of the professoriate – then perhaps the “passive” Bickel will once again become relevant. 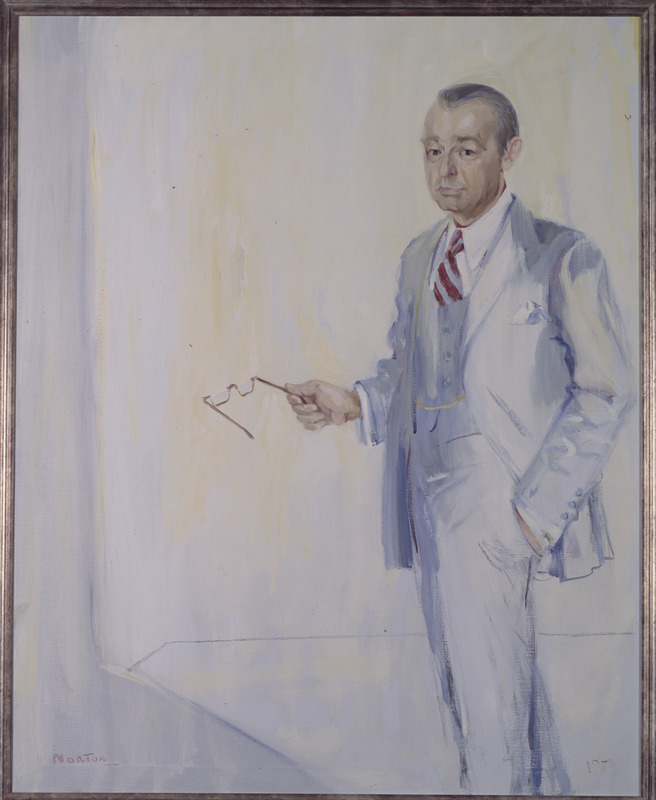 Otherwise, he is simply the remnant of another time and other controversies, as is true of many other professors whose portraits, whether recognizable or not by contemporary students (or even, perhaps, their teachers), cover the walls at the Yale Law School.